Liang-Chih Yu is a professor in the Department of Information Management at Yuan Ze University in Taiwan, R.O.C. He received his Ph.D. in Computer Science and Information Engineering from National Cheng Kung University in Taiwan, R.O.C. He was a visiting scholar at the Natural Language Group, Information Sciences Institute, University of Southern California (USC/ISI) from 2007 to 2008, and at DOCOMO Innovations for three months in 2018. 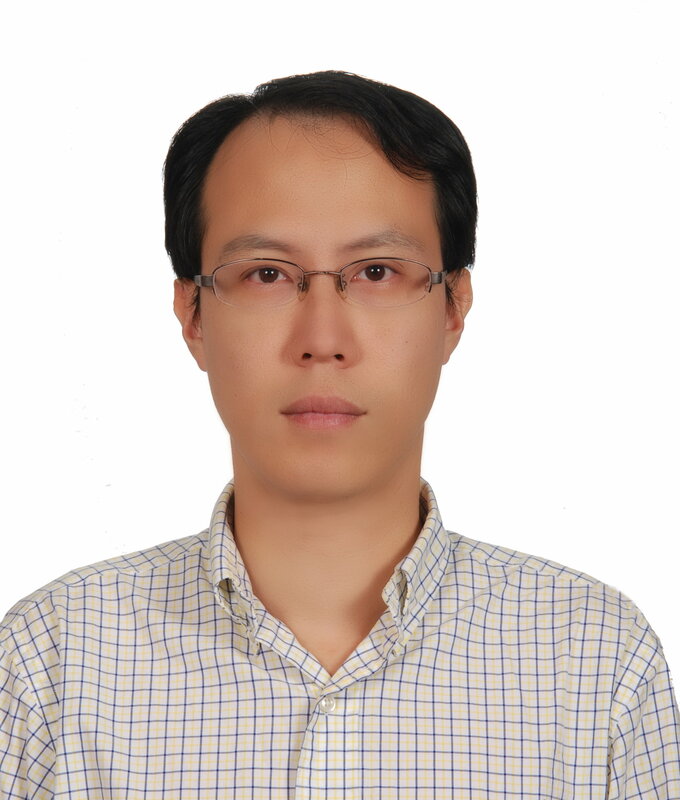 He is currently Board Member of the Association for Computational Linguistics and Chinese Language Processing (ACLCLP), and serves as an editorial board member of International Journal of Computational Linguistics and Chinese Language Processing. His research interests include natural language processing, sentiment analysis, text mining, and learning technology. His team has developed systems that ranked first in IJCNLP 2017 Task 4: Customer Feedback Analysis, and second in the recent SemEval and BEA shared task competitions. Local Co-Chair, The 14th Asia Information Retrieval Societies Conference (AIRS 2018), Taipei, Taiwan, November 28-30, 2018. Co-organizer, The 5th Workshop on Natural Language Processing Techniques for Educational Applications & Shared Task on Chinese Grammatical Error Diagnosis (NLPTEA&CGED@ACL-2018), Melbourne, Australia, July 19, 2018. Local Co-Chair, The 8th International Joint Conference on Natural Language Processing (IJCNLP 2017), Taipei, Taiwan, November 27-December 1, 2017. Co-organizer, Shared Task on Dimensional Sentiment Analysis for Chinese Phrases (DSA_P@IJCNLP-2017), Taipei, Taiwan, December 1, 2017. Co-organizer, The 4th Workshop on Natural Language Processing Techniques for Educational Applications (NLPTEA@IJCNLP-2017), Taipei, Taiwan, December 1, 2017. Co-organizer, The 3rd Workshop on Natural Language Processing Techniques for Educational Applications & Shared Task on Chinese Grammatical Error Diagnosis (NLPTEA&CGED@COLING-2016), Osaka, Japan, December 12, 2016. Local Co-Chair, The 20th International Conference on Asian Language Processing (IALP 2016), Tainan, Taiwan, November 21-23, 2016. Co-organizer, Shared Task on Dimensional Sentiment Analysis for Chinese Words (DSA_W@IALP-2016), Tainan, Taiwan, November 22, 2016. Co-organizer, The 2nd Workshop on Natural Language Processing Techniques for Educational Applications & Shared Task on Chinese Grammatical Error Diagnosis (NLPTEA&CGED@ACL-IJCNLP-2015), Beijing, China, July 31, 2015. Co-organizer, The 1st Workshop on Natural Language Processing Techniques for Educational Applications & Shared Task on Grammatical Error Diagnosis for Learning Chinese as a Foreign Language (NLPTEA&CFL@ICCE-2014), Nara, Japan, November 30, 2014. Co-organizer, The 7th SIGHAN Workshop on Chinese Language Processing (SIGHAN-7) at IJCNLP 2013, Nagoya, Japan, October 14-19, 2013. Publication Co-chair, The 27th Pacific Asia Conference on Language, Information, and Computation (PACLIC 27), Taipei, Taiwan, November 22-24, 2013. Co-organizer, The Second CIPS-SIGHAN Joint Conference on Chinese Language Processing (CLP 2012) Bake-offs Task on Traditional Chinese Parsing, Tianjin, China, December 20-21, 2012. Conference Co-chair, The 24th Conference on Computational Linguistics and Speech Processing (ROCLING 2012), Chung-Li, Taiwan, September 21-22, 2012. Program Co-chair, The 23rd Conference on Computational Linguistics and Speech Processing (ROCLING 2011), Taipei, Taiwan, September 8-9, 2011. Area Chair, The 57th Annual Meeting of the Association for Computational Linguistics (ACL 2019), Florence, Italy, July 28 - August 2, 2019. The 17th Annual Conference of the North American Chapter of the Association for Computational Linguistics: Human Language Technologies (NAACL-HLT 2019), Minneapolis, USA, June 2-7, 2019. The 33rd AAAI Conference on Artificial Intelligence (AAAI 2019), Honolulu, Hawaii, USA, January 27–February 1, 2019. The 11th International Symposium on Chinese Spoken Language Processing (ISCSLP 2018), Taipei, Taiwan, November 26-29, 2018. The 2018 Conference on Empirical Methods in Natural Language Processing (EMNLP 2018), Brussels, Belgium, October 31-November 4, 2018. The 27th International Conference on Computational Linguistics (COLING 2018), Santa Fe, New Mexico, USA, August 20-26, 2018. The 56th Annual Meeting of the Association for Computational Linguistics (ACL 2018), Melbourne, Australia, July 15-20, 2018. The 6th International Workshop on Natural Language Processing for Social Media (SocialNLP 2018), Melbourne, Australia, July 15-20, 2018. The 16th Annual Conference of the North American Chapter of the Association for Computational Linguistics: Human Language Technologies (NAACL-HLT 2018), New Orleans, Louisana, USA, June 1-6, 2018. The 11th edition of the Language Resources and Evaluation Conference (LREC 2018), Miyazaki, Japan, May 7-12, 2018. The 21st International Conference on Asian Language Processing (IALP 2017), Singapore, December 5-7, 2017. The 29th Annual Conference on Computational Linguistics and Speech Processing (ROCLING 2017), Taipei, Taiwan, November 27-28, 2017. The 31st Pacific Asia Conference on Language, Information, and Computation (PACLIC 31), Cebu, Philippines, November 16-18, 2017. The 2017 Conference on Empirical Methods in Natural Language Processing (EMNLP 2017), Demo Track, Copenhagen, Denmark, September 7-11, 2017. The 55th Annual Meeting of the Association for Computational Linguistics (ACL 2017), Vancouver, Canada, July 30-August 4, 2017. The 5th International Workshop on Natural Language Processing for Social Media (SocialNLP 2017), Valencia, Spain, April 3, 2017. The 26th International Conference on Computational Linguistics (COLING 2016), Osaka, Japan, December 11-16, 2016. The 20th International Conference on Asian Language Processing (IALP 2016), Tainan, Taiwan, November 21-23, 2016. The 2016 Conference on Empirical Methods in Natural Language Processing (EMNLP 2016), Austin, Texas, USA, November 1–5, 2016. The 4th International Workshop on Natural Language Processing for Social Media (SocialNLP 2016), Austin, Texas, USA, November 1, 2016. The 30th Pacific Asia Conference on Language, Information, and Computation (PACLIC 30), Seoul, Korea, October 28-30, 2016. The 10th International Symposium on Chinese Spoken Language Processing (ISCSLP 2016), Tianjin, China, October 17-20, 2016. The 28th Annual Conference on Computational Linguistics and Speech Processing (ROCLING 2016), Tainan, Taiwan, October 6-7, 2016. The 15th Annual Conference of the North American Chapter of the Association for Computational Linguistics: Human Language Technologies (NAACL-HLT 2016), San Diego, California, USA, June 12-17, 2016. The 18th Oriental COCOSDA Conference (O'COCOSDA 2015), Shanghai, China, October 28-30, 2015. The 29th Pacific Asia Conference on Language, Information, and Computation (PACLIC 29), Shanghai, China, October 30 - November 1, 2015. Steering Committee, The 27h Annual Conference on Computational Linguistics and Speech Processing (ROCLING 2015), Hsinchu, Taiwan, October 1-2, 2015. The 2015 Conference on Empirical Methods in Natural Language Processing (EMNLP 2015), Lisbon, Portugal, September 17-21, 2015. The 53rd Annual Meeting of the Association for Computational Linguistics (ACL 2015), Beijing, China, July 26-31, 2015. The 14th Annual Conference of the North American Chapter of the Association for Computational Linguistics: Human Language Technologies (NAACL-HLT 2015), Demo Track, Denver, Colorado, USA, May 31-June 5, 2015. The 28th Pacific Asia Conference on Language, Information, and Computation (PACLIC 28), Phuket, Thailand, December 12-14, 2014. The 26th Conference on Computational Linguistics and Speech Processing (ROCLING 2014), Chung-li, Taiwan, September 25-26, 2014. The 17th Oriental COCOSDA Conference (O'COCOSDA 2014), Phuket, Thailand, September 10-12, 2014. The 9th International Symposium on Chinese Spoken Language Processing (ISCSLP 2014), Singapore, September 12-14, 2014. The 25th International Conference on Computational Linguistics (COLING 2014), Dublin, Ireland, August 23-29, 2014. The 52nd Annual Meeting of the Association for Computational Linguistics (ACL 2014), Demo Track, Baltimore, USA, June 22-27, 2014. The 27th Pacific Asia Conference on Language, Information, and Computation (PACLIC 27), Taipei, Taiwan, November 22-24, 2013. The 25th Conference on Computational Linguistics and Speech Processing (ROCLING 2013), Kaohsiung, Taiwan, October 4-5, 2013. The 50th Annual Meeting of the Association for Computational Linguistics (ACL 2012), Jeju, Korea, July 8-14, 2012. The 2011 Conference on Technologies and Applications of Artificial Intelligence (TAAI 2011), Chung-Li, Taiwan, November 11-13, 2011. The 14th Oriental COCOSDA Conference (O'COCOSDA 2011), Hsinchu, Taiwan, October 26-28, 2011. The 7th International Workshop on Service-Oriented Applications, Integration and Collaboration (SOAIC 2011), Beijing, China, October 19-21, 2011. The Joint Conference of the 47th Annual Meeting of the Association for Computational Linguistics and the 4th International Joint Conference on Natural Language Processing (ACL/IJCNLP 2009), Student Research Workshop, Singapore, August 2-7, 2009. Shu-Fen Tseng*, Yen-Wei Tsao, Liang-Chih Yu, Chien-Lung Chan and K. Robert Lai, "Who will pass? Analyzing learner behaviors in MOOCs," Research and Practice in Technology Enhanced Learning, vol. 11, no. 8, 2016. Liang-Chih Yu*, Richard Tzong-Han Tsai, Chia-Ping Chen, Cheng-Zen Yang, and Shu-Kai Hsieh, "IJCLCLP Special issue on Selected Papers from ROCLING XXIV," International Journal of Computational Linguistics and Chinese Language Processing, vol. 17, no. 4, pp. i, 2012. Jheng-Long Wu, Liang-Chih Yu*, and Pei-Chann Chang, "Detecting Causality from Online Psychiatric Texts Using Inter-Sentential Language Patterns," BMC Medical Informatics and Decision Making, vol. 12, article 72, 2012. Liang-Chih Yu* and Wei-Ho Tsai, "IJCLCLP Special issue on Selected Papers from ROCLING XXIII," International Journal of Computational Linguistics and Chinese Language Processing, vol. 17, no. 2, pp. i, 2012. Liang-Chih Yu*, Chung-Hsien Wu, and Jui-Feng Yeh, "Word Sense Disambiguation Using Multiple Contextual Features," International Journal of Computational Linguistics and Chinese Language Processing, vol.15, no.3-4, pp. 181-192, 2010. Liang-Chih Yu, Chung-Hsien Wu*, Jui-Feng Yeh and Eduard Hovy, "Corpus Cleanup of Mistaken Agreement Using Word Sense Disambiguation," International Journal of Computational Linguistics and Chinese Language Processing, vol.13, no.4, pp. 405-420, 2008. Liang-Chih Yu, Lung-Hao Lee, Jin Wang and Kam-Fai Wong, "IJCNLP-2017 Task 2: Dimensional Sentiment Analysis for Chinese Phrases," in Proc. of the 8th International Joint Conference on Natural Language Processing (IJCNLP-17), Shared Tasks, Taipei, Taiwan, pp. 9-16, 2017. Xiang Xiao, Shaozhen Ye, Liang-Chih Yu and K. Robert Lai, "Mining Language Patterns Using Word Embeddings," in Proc. of the 29th Conference on Computational Linguistics and Speech Processing (ROCLING 2017), Taipei, Taiwan, pp. 230-243, 2017. Yuanye He, Liang-Chih Yu, K. Robert Lai and Weiyi Liu, "YZU-NLP Team at EmoInt-2017: Determining Emotion Intensity Using a Bi-directional LSTM-CNN Model," in Proc. of the 8th Workshop on Computational Approaches to Subjectivity, Sentiment & Social Media Analysis (WASSA 2017), Copenhagen, Denmark, pp. 238-242, 2017. Lung-Hao Lee, Gaoqi Rao, Liang-Chih Yu, Endong Xun, Baolin Zhang and Li-Ping Chang, "Overview of NLP-TEA 2016 Shared Task for Chinese Grammatical Error Diagnosis," in Proc. of the 3rd Workshop on Natural Language Processing Techniques for Educational Applications (NLPTEA 2016), Osaka, Japan, pp. 40-48, 2016. Liang-Chih Yu, Lung-Hao Lee and Kam-Fai Wong, "Overview of the IALP 2016 Shared Task on Dimensional Sentiment Analysis for Chinese Words," in Proc. of the 20th International Conference on Asian Language Processing (IALP 2016), Tainan, Taiwan, pp. 156-160, 2016. Jin Wang, Liang-Chih Yu, K. Robert Lai and Xuejie Zhang, "Dimensional Sentiment Analysis Using a Regional CNN-LSTM Model," in Proc. of the 54th Annual Meeting of the Association for Computational Linguistics (ACL 2016), Berlin, Germany, pp. 225-230, 2016. Liang-Chih Yu, Jin Wang, K. Robert Lai and Xuejie Zhang, "Predicting Valence-Arousal Ratings of Words Using a Weighted Graph Method," in Proc. of the 53rd Annual Meeting of the Association for Computational Linguistics and the 7th International Joint Conference of the Asian Federation of Natural Language Processing (ACL-IJCNLP 2015), Beijing, China, pp. 788-793, 2015. Lung-Hao Lee, Liang-Chih Yu and Li-Ping Chang, "Overview of the NLP-TEA 2015 Share Task for Chinese Grammatical Error Diagnosis," in Proc. of the Second Workshop on Natural Language Processing Techniques for Educational Applications (NLPTEA-2) at ACL 2015, Beijing, China, pp. 1-6, 2015. Liang-Chih Yu and K. Robert Lai, "Analysis of Modifier Structure for Emotion Expressions," in Proc. of the 6th Asia-Pacific Signal and Information Processing Association Annual Summit and Conference (APSIPA ASC 2014), Siem Reap, Cambodia, 2014. Liang-Chih Yu, Lung-Hao Lee and Li-Ping Chang, "Overview of Grammatical Error Diagnosis for Learning Chinese as a Foreign Language," in Workshop Proc. of the 22nd International Conference on Computers in Education (ICCE 2014), Nara, Japan, pp. 42-47, 2014. Liang-Chih Yu, Hsiao-Liang Hu and Wei-Hua Lin, "Evaluation on Text Categorization for Mathematics Application Questions," in Proc. of the 5th Asia-Pacific Signal and Information Processing Association Annual Summit and Conference (APSIPA ASC 2013), Kaohsiung, Taiwan, 2013. Liang-Chih Yu, Chao-Hong Liu and Chung-Hsien Wu, "Candidate Scoring Using Web-Based Measure for Chinese Spelling Error Correction," in Proc. of the Seventh SIGHAN Workshop on Chinese Language Processing (SIGHAN-7) at IJCNLP 2013, Nagoya, Japan, pp. 108-112, 2013. Liang-Chih Yu, Wei-Cheng He, and Wei-Nan Chien, "A Language Modeling Approach to Identifying Code-Switched Sentences and Words," in Proc. of the Second CIPS-SIGHAN Joint Conference on Chinese Language Processing (CLP 2012), Tianjin, China, pp. 3-8, 2012. Liang-Chih Yu, Shou-Fang Liang and Wei-Hua Lin, "Combining Language and Speech Features to Predict Students' Emotions in E-Learning Environments," in Proc. of the 20th International Conference on Computers in Education (ICCE 2012), Singapore, pp. 51-55, 2012. Liang-Chih Yu, Shou-Fang Liang, Wei-Hua Lin, K. Robert Lai, and Baw-Jhiune Liu, "Analysis of Students' Emotion from a Text Corpus," in Proc. of Work-in-Progress Poster Session of the 19th International Conference on Computers in Education (ICCE 2011), Chiang Mai, Thailand, pp. 1-4, 2011. Liang-Chih Yu, Wei-Nan Chien and Shih-Ting Chen, "A Baseline System for Chinese Near-Synonym Choice," in Proc. of the 5th International Joint Conference on Natural Language Processing (IJCNLP 2011), Chiang Mai, Thailand, pp. 1366-1370, 2011. Liang-Chih Yu, Chien-Lung Chan, Chung-Hsien Wu, and Chao-Cheng Lin, "Mining Association Language Patterns for Negative Life Event Classification," in Proc. of the 47th Annual Meeting of the Association for Computational Linguistics and the 4th International Joint Conference on Natural Language Processing (ACL-IJCNLP 2009), Suntec, Singapore, pp. 201-204, 2009. Liang-Chih Yu and Chien-Lung Chan, "Acquisition of Meaningful Combinations of Words from Psychiatric Texts," in Proc. of the 30th Annual Linguistics Conference (TABU Dag 2009), Groningen, Netherlands, June 11-12, 2009. Liang-Chih Yu, Chung-Hsien Wu, and Eduard Hovy, "OntoNotes: Corpus Cleanup of Mistaken Agreement Using Word Sense Disambiguation," in Proc. of the 22nd International Conference on Computational Linguistics (COLING 2008), Manchester, UK, pp. 1057-1064, 2008. Liang-Chih Yu, Chung-Hsien Wu, Chin-Yew Lin, Eduard Hovy, and Chia-Ling Lin, "Topic Analysis for Psychiatric Document Retrieval," in Proc. of the 45th Annual Meeting of the Association for Computational Linguistics (ACL 2007), Prague, Czech Republic, pp. 1024-1031, 2007. Liang-Chih Yu, Chung-Hsien Wu, Andrew Philpot, and Eduard Hovy, "OntoNotes: Sense Pool Verification Using Google N-gram and Statistical Tests," in Proc. of the OntoLex Workshop at the 6th International Semantic Web Conference (ISWC 2007), Busan, Korea, 2007. Liang-Chih Yu, Chung-Hsien Wu, and Fong-Lin Jang, "HAL-based Cascaded Model for Variable-Length Semantic Pattern Induction from Psychiatry Web Resources," in Proc. of the COLING/ACL 2006, Sydney, Australia, pp. 945–952, 2006. Jui-Feng Yeh, Chung-Hsien Wu, Ming-Jun Chen and Liang-Chih Yu, "Automated Alignment and Extraction of Bilingual Domain Ontology for Cross-Language Domain-Specific Applications," in Proc. of the 20th International Conference on Computational Linguistics (COLING 2004), Geneva, Switzerland, pp. 1140–1147, 2004.